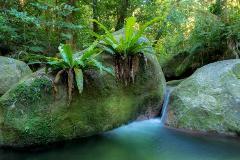 A 7.15am start today, will let you experience the Daintree Rainforest with almost no one else about. 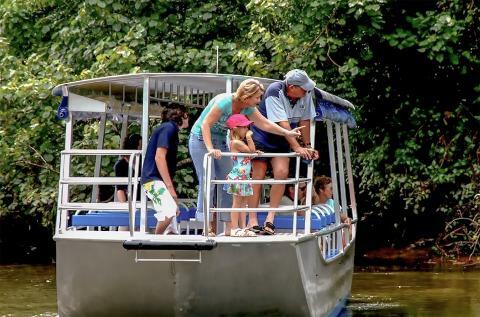 After a short drive north, through scenic sugar cane country, your first stop will see you embarking on a wildlife cruise on the mighty Daintree River, spotting local endemic wildlife. 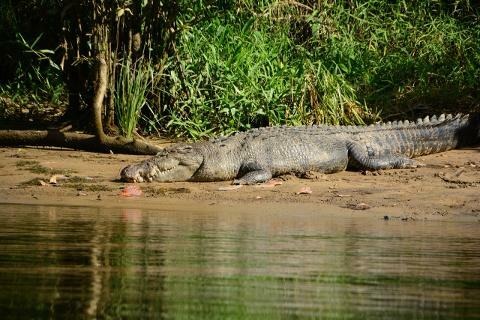 Keep an eye out for the elusive Saltwater Estuarine Crocodile, rainforest frogs and birdlife and flying fruit bats. 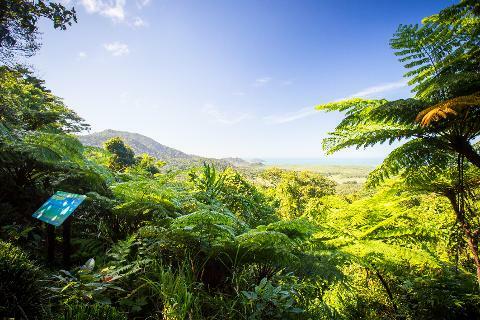 Your cruise will finish in the World Heritage listed Wet Tropics, we venture deep into the heart of the Daintree Rainforest. 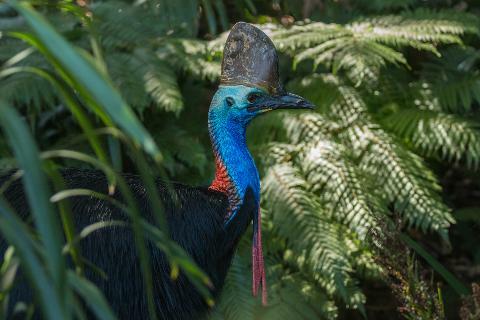 First stop is a guided nature walk along a Rainforest board walk; Keep your eyes out for the Cassowary and the elusive Tree Kangaroo. On the journey to Cape Tribulation, take some time to explore some of the untouched beaches along the coast. 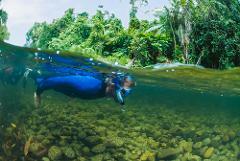 Witness the Rainforest meeting the reef as you take in the incredible coastline. 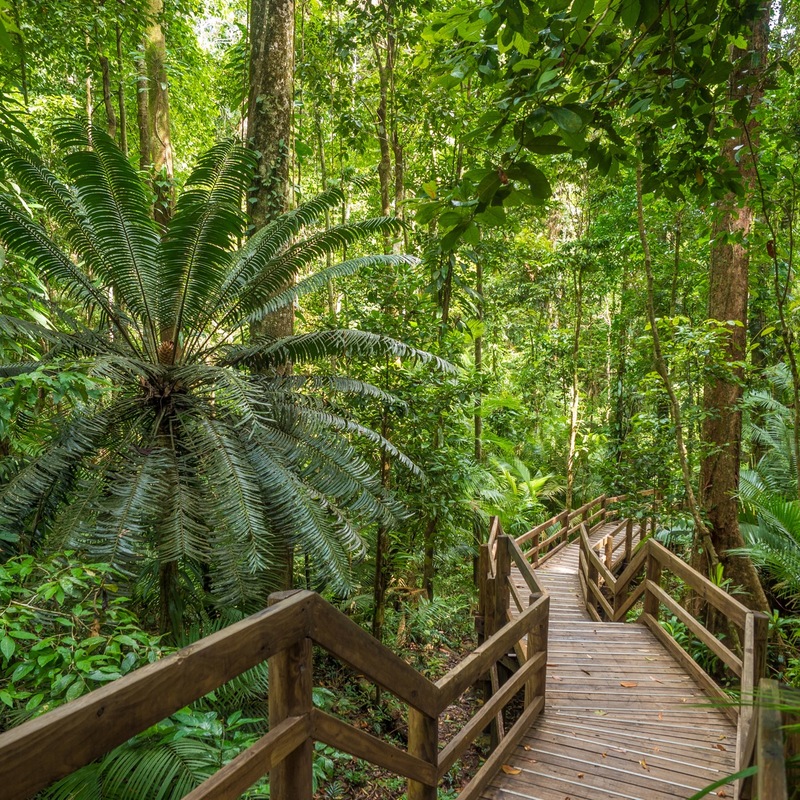 Arriving at Cape Tribulation, it’s time to tackle Jungle Surfing; a 1.5-hour trip through the canopy of the rainforest. 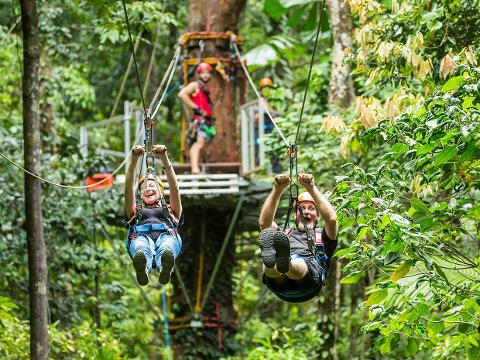 Your feet don’t touch the ground, rather you fly through the trees on a series of flying fox zip-lines, stopping at 6 tree platforms to take in spectacular bird’s eye views over the treetops, down to cascading streams and out to the Great Barrier Reef. 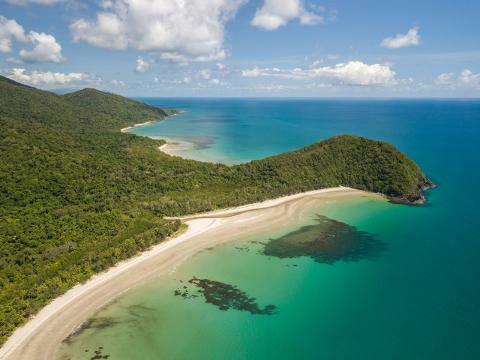 For those not Jungle Surfing, enjoy exploring Cape Tribulation's beaches and safe rainforest waterholes. Next we head to lunch at a local restaurant, deep in the rainforest. 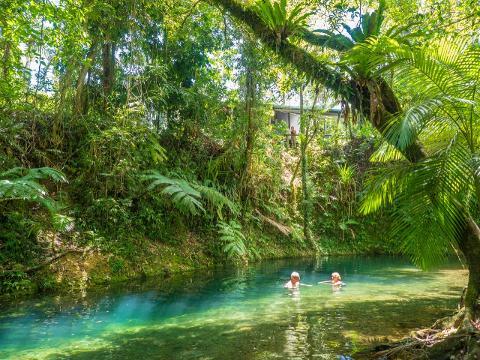 After Lunch, enjoy a refreshing swim in a safe rainforest river, or simply enjoy the relaxing surroundings. We then head south, stopping for a Bio-Dynamic Ice-cream for dessert. A photo stop at the beautiful Alexandra Range Lookout is next; From here the Daintree River can be seen flowing out into the Coral Sea. Begin the journey back to your accommodation. A short trip back to Port Douglas and you are returned to your accommodation (approx. 4:45pm), ready to await your next adventure.